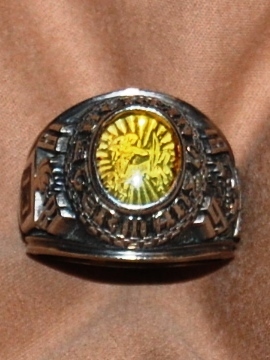 Click on a photo for higher resolution. 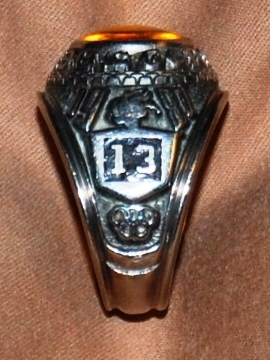 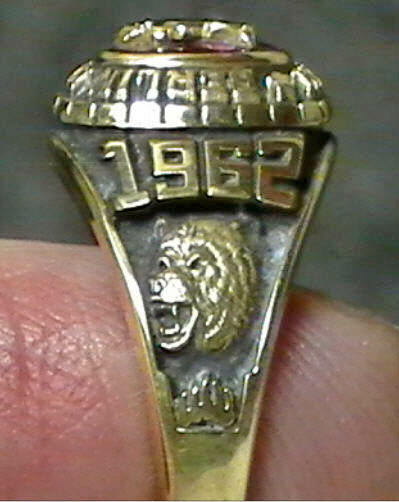 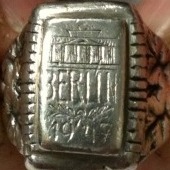 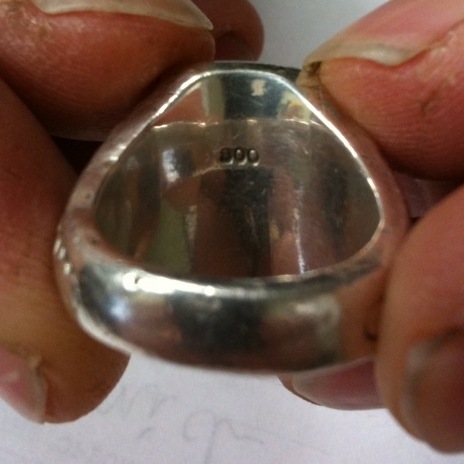 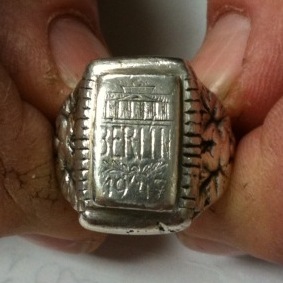 It is solid silver, has grape clusters on both sides, on the top is the Brandenberg Gate, Berlin and 1947. 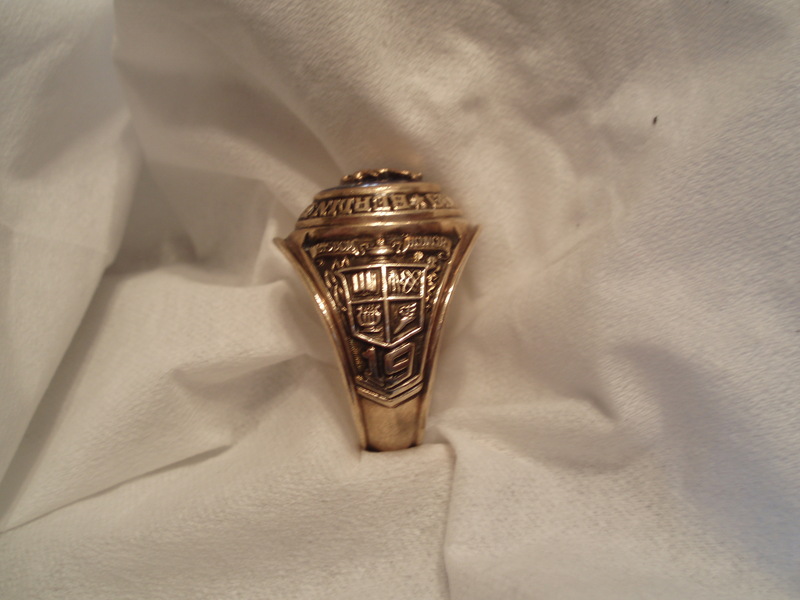 Please contact us at if you know anything so we may find its owner. 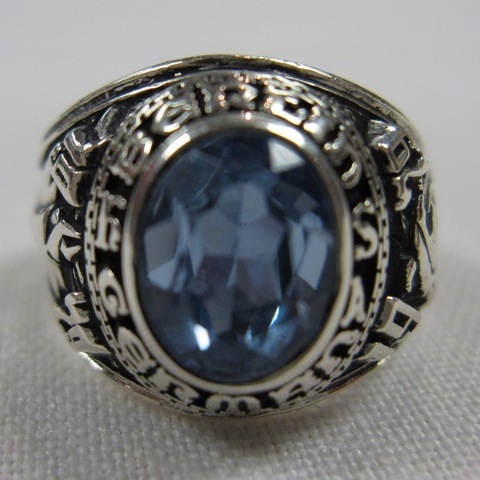 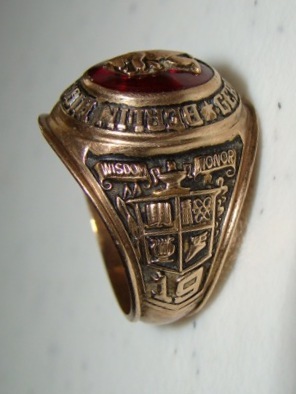 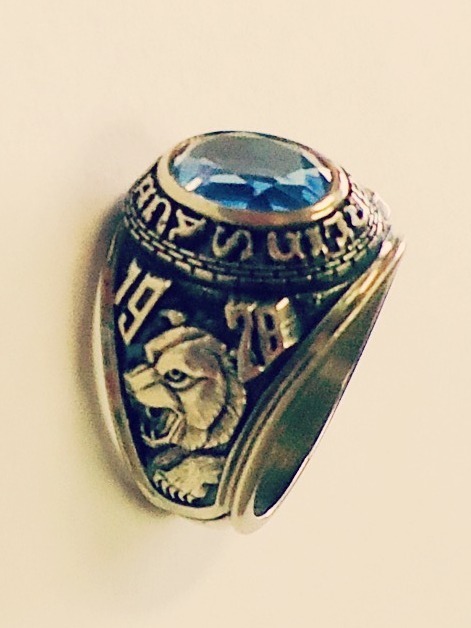 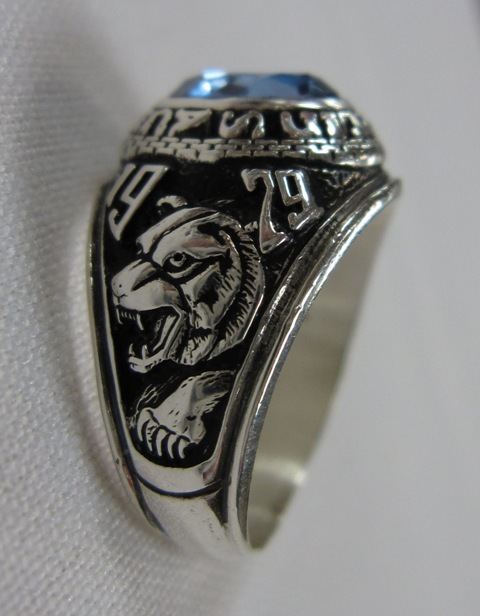 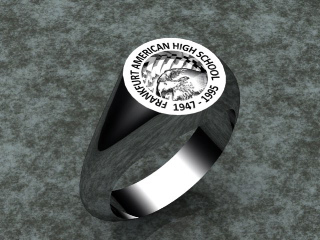 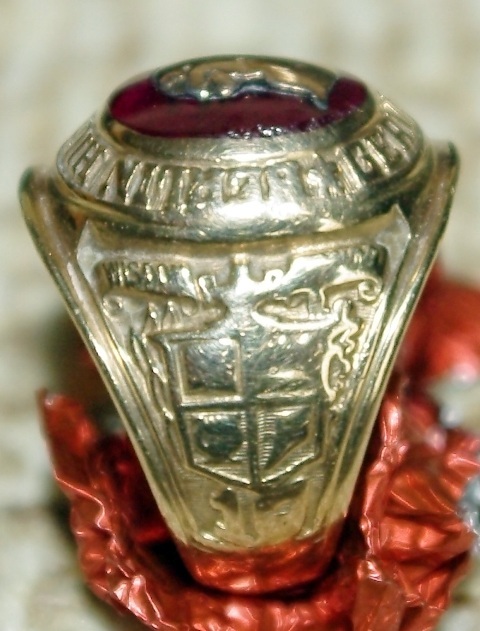 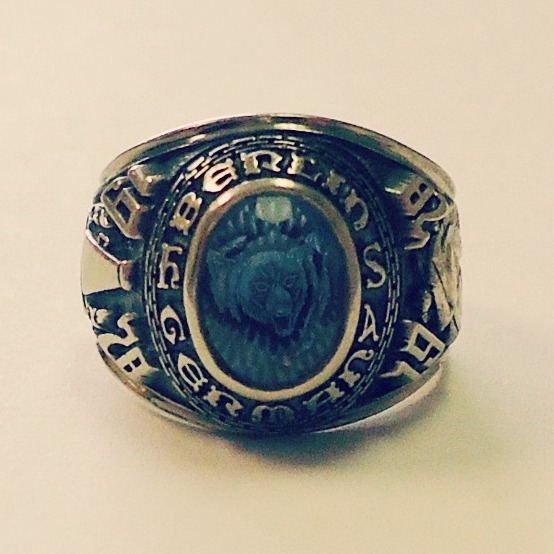 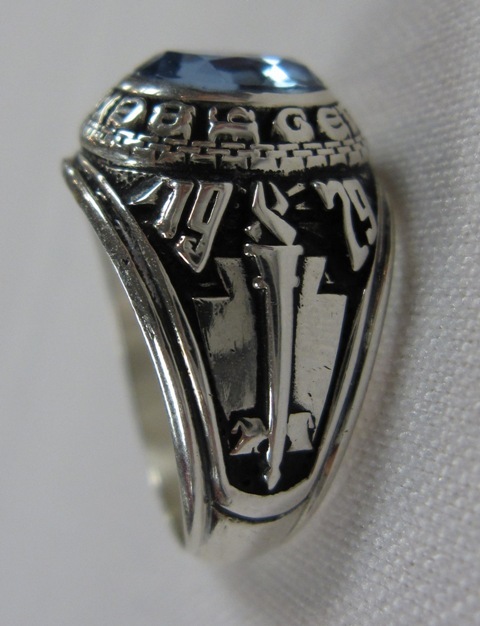 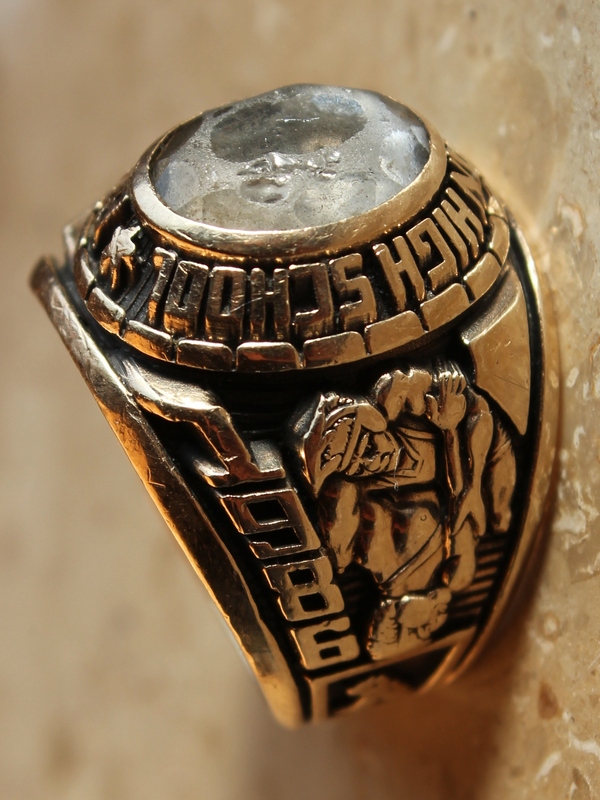 Contact Karen Burbach-Barker at Balfour International for information on ordering a class ring. 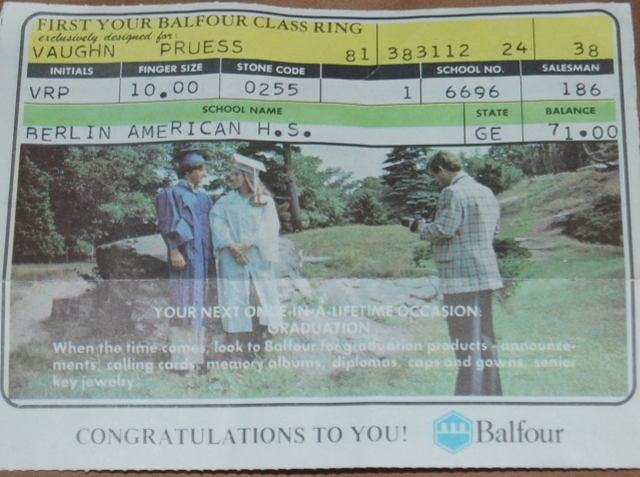 All Balfour class rings from 1972 forward carry a lifetime warranty which covers cleaning, resizing, and replacing damaged simulated birthstones. 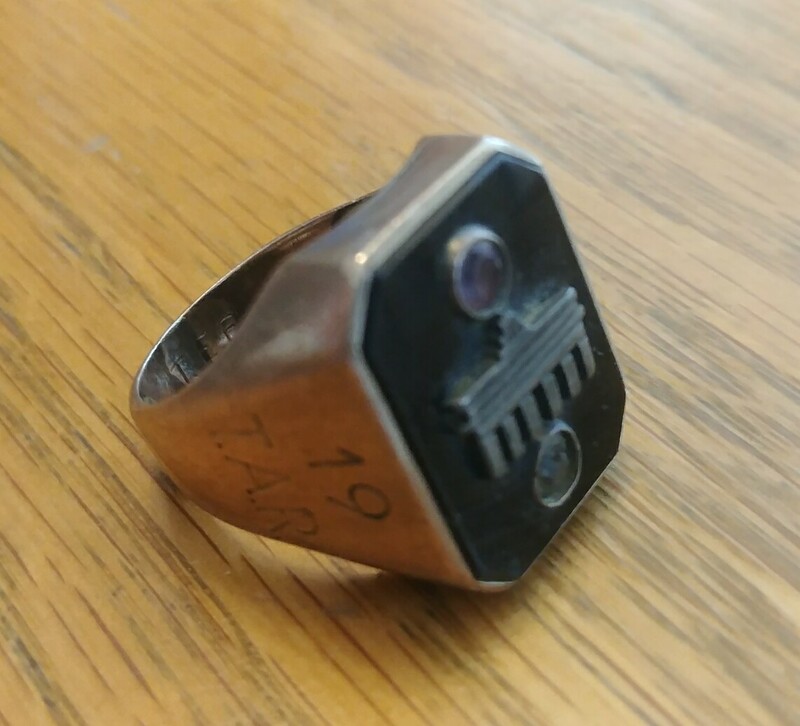 The only cost to you is $14.95 shipping. 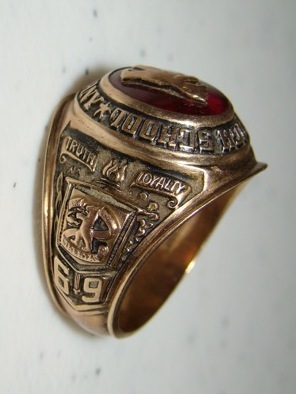 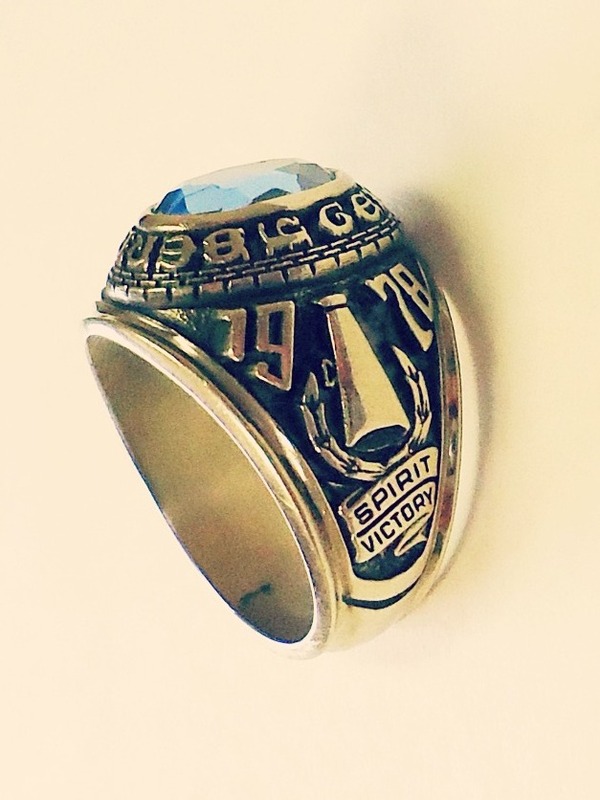 Do you still have your ring? 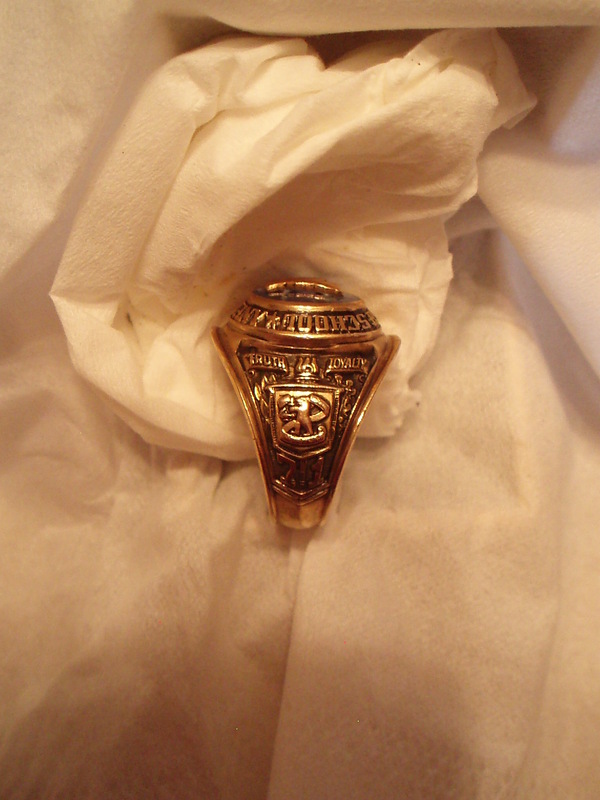 Send a picture to: . 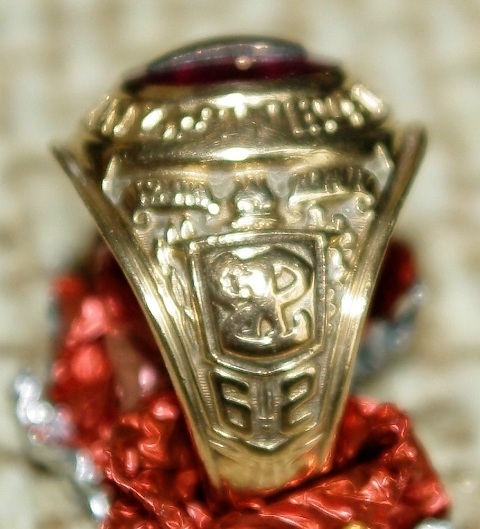 Click on a ring for a higher resolution photo. 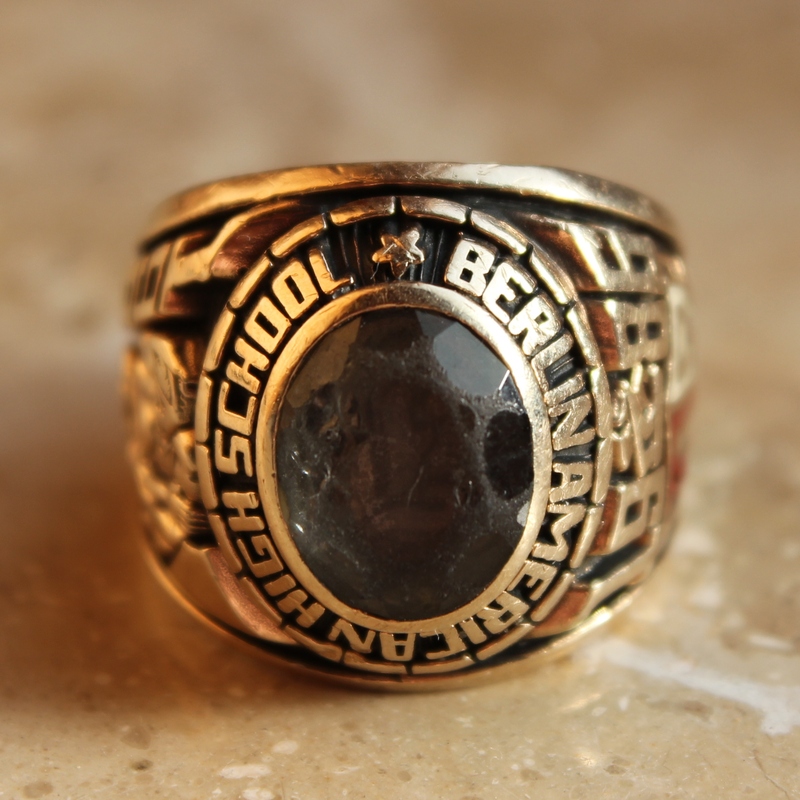 To Balfour International: Thank you very much for the wonderful job of cleaning up my class ring! 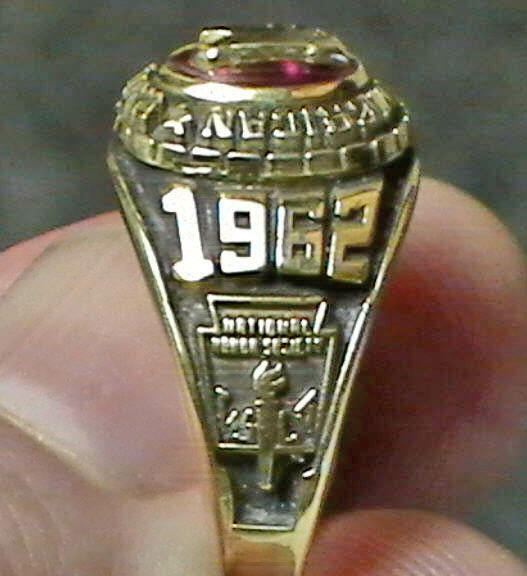 It arrived yesterday and I was thrilled to see it looking as good as when I bought it in 1979. 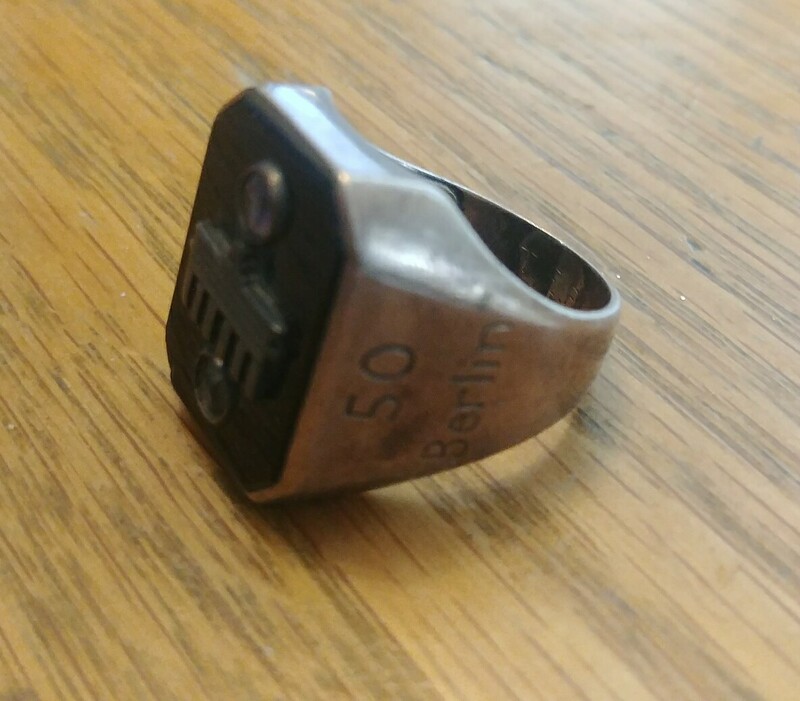 Found inside lake "Schweinfurter Baggersee" by Stefan Okapal with a metal detector in 2015. 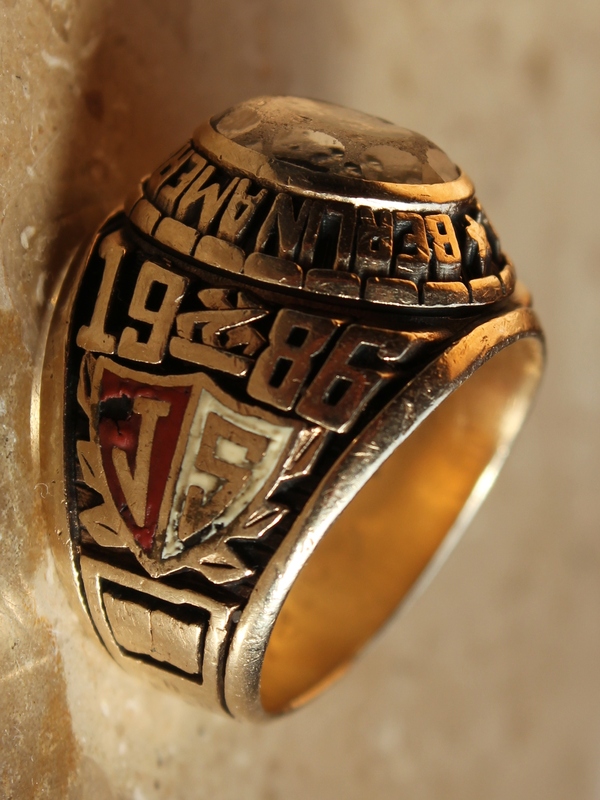 Returning to his sister Janine '85. 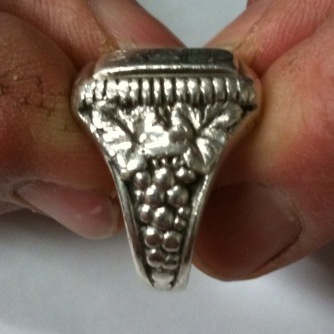 Click here to see some of his amazing finds. 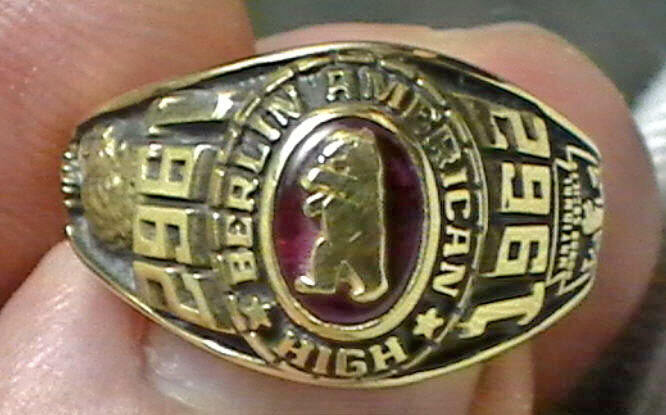 Frankfurt has these class rings. 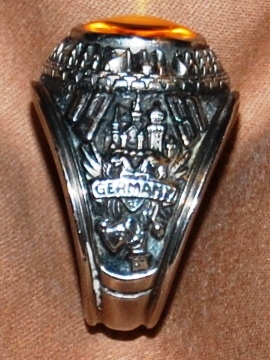 Click here for their information. 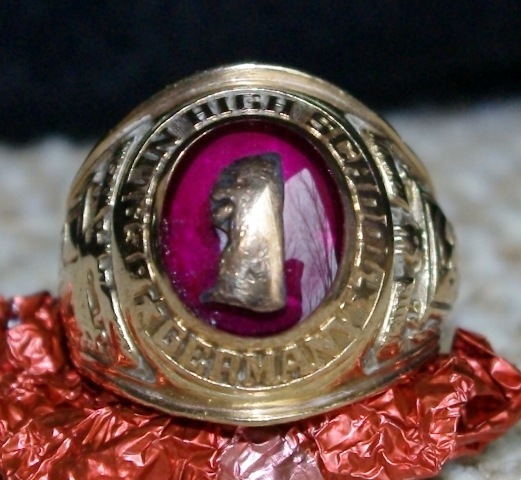 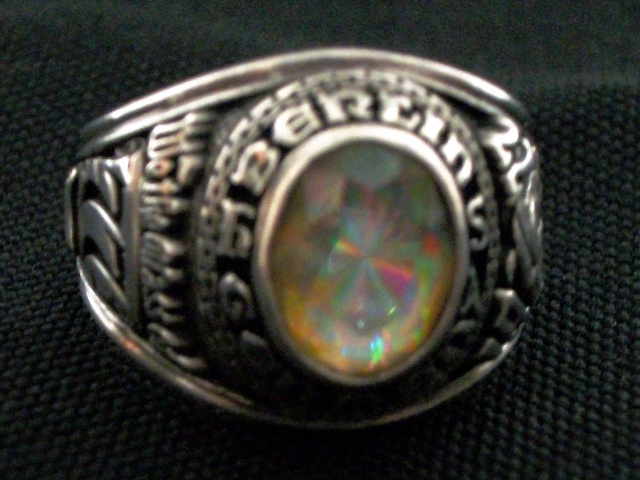 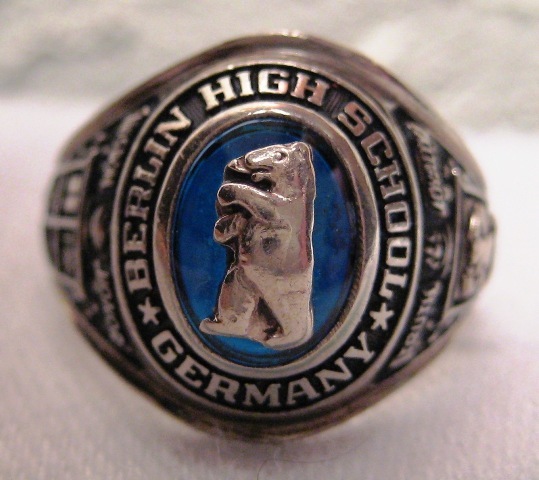 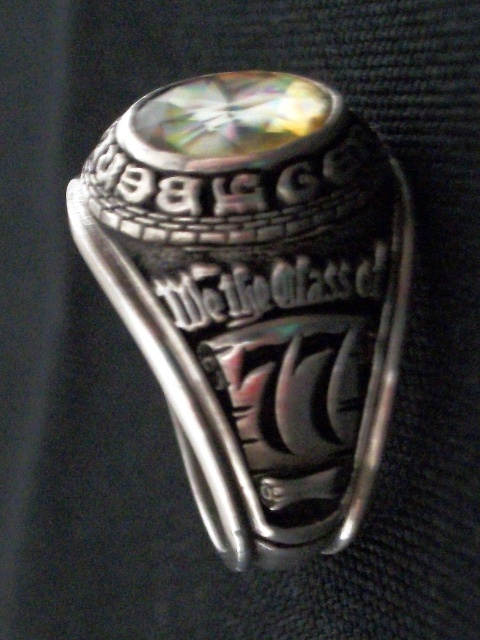 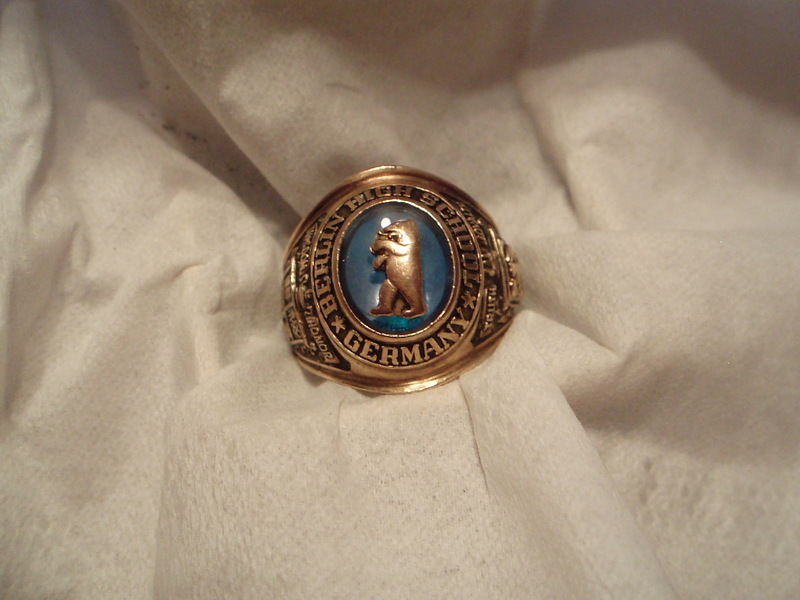 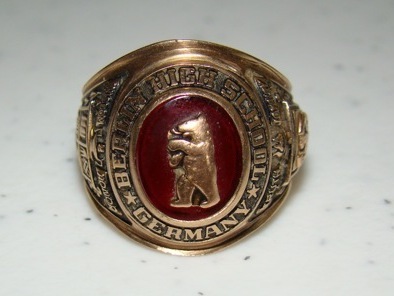 Contact us at if you are interested in a BERLIN class ring.